Today’s economy is all about spending what you have, and then some. On an average, an American will spend $1.40 for every $1 they earn. Why? Because of credit. It’s literally plastic cash, nothing real, but the credit card companies are making actual serious money from the high rates of interest. Spending is great. Everyone works hard and has tons of responsibilities to meet, not to mention some unwinding time where they may spend on shopping or going out for drinks. All this is fine, living as if there is no tomorrow. But guess what? There is a tomorrow and a day-after-tomorrow and a day-after-that. Why not plan for those days? Make hay while the sun shines and all that jazz. Great minds like Tony Robbins and Robert Kiyosaki live by the principle of: Pay Yourself First. As you earn, before you think of getting rid of bills, the rent, mortgage and any other expense, think of first putting a fixed amount aside that is going to eventually accrue and become an asset for you. And what better place to start than in real estate? In his groundbreaking book, Rich Dad Poor Dad, Kiyosaki has said that you cannot consider your home an asset. What?! You might gasp. Well, think about it – you spend on it on a regular basis, through bills, maintenance, taxes and in so many other ways. However, buying a property and starting to earn on it will make it an asset that pays huge dividends in the long run. When markets are down, people get scared because the “market isn’t doing well”. However, opportunists see this as the perfect time to begin buying up, because sellers are so desperate, they are willing to get rid of their real estate at a bargain, sometimes at even half than their original rate, at a significant loss. This is exactly the time when you need to pick up the opportunity and make the most of it. But merely buying real estate and sitting on it is not going to get you anywhere. In fact, it may become a liability in no time. So what do you do? A good option would be to rent out the place and earn something off it on a regular basis. Also, waiting for the market to pick up again and selling it at a significant profit in no time at all. Depending on the area you are targeting, you need to make sure that you know a lot about it, before putting down your hard earned money. Study it, hire an expert who already knows the tricks of the trade and is familiar with the area and go ahead make the investment. Real estate is probably one of the most secure and has a high ROI (Return On Investment). Also, by holding on to property, you have something more than bad debt for your next generation to inherit. Investing in dividend earning stocks is one of the best and certain methods for building a steady income, and it’s an opportunity that literally anyone can take advantage. Any company that is worth owning stocks of would in due course make money which would be shared among its shareholders. Hence investing in a dividend paying stock is considered a safe move. Dividends are small payments that companies and corporations pay to their shareholders. If you own stock in a company, you are a shareholder. Dividends are usually paid on a quarterly basis, meaning 4 times a year — of course, this depends on the company. This in fact does not require you to be on a constant watch out of the performance of the company. Companies that pay high dividends are favorites among investors who are interested in income investing, like retirees. 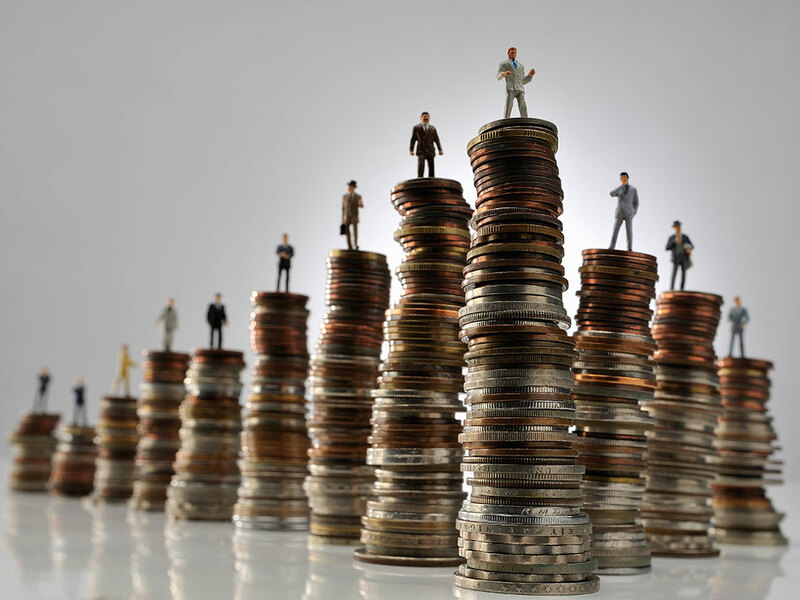 Individuals who like to see consistent income coming from their shares to use for monthly expenses like the consistency and would rather see monthly dividends instead of selling stock when they need cash. You don’t have to be retired to enjoy the benefits of dividend investing – the principles of passive income are the same for everyone. When researching companies for stock investing, always factor in dividends. The capital gains return might not look that good but once you factor in the dividends, the return may go up considerably. Reinvesting dividends means you are taking the dividend payments and using them to buy more shares in the company. By reinvesting the dividends you make, you can buy more shares allowing you to earn more dividends. Is Buying High-Dividend Stocks Worth It? A stock with a three monthly dividend checks a bonus. It’s not the only reason to own a stock, but many good stocks do pay good dividends. It’s more important to us to own stocks in great companies than to chase a dividend of 6% or 8% or 10%. Those high dividend yields are from companies with real financial troubles, and those yields won’t last. Sometimes the market really does offer you a good discount on a great stock. We’re always looking for bargains, and a great stock at a good price with a good dividend is a real find. A dividend yield of 2% combined with a company that can increase its value by 10-12% annually. How to Choose a Company to Invest in? Not every company performing well would give you great dividends; there have been big companies that have failed share pricings. Hence for you to get good returns it is imperative that you invest in companies that actually have a good track record of delivering dividends. Public limited companies that are listed on the stock markets need to show their finance status every quarter of the year. You can access their PE ratio through Google. Always check for companies that have a ratio between 1and 18. These companies would give good dividends. You can also check for the Div Yeild % of the company. Choose companies that give more percentage than the others and those that have been consistently doing so. Investing in stocks should never be done on hearsay or in a hurry, do your homework, zero down the best company and then invest. What Is Traditional IRA And Who Should Have One? IRA is Individual Retirement Account that serves as one of the best investment for retirement. Employees can use this to their benefit as the capital along with the dividends are tax free. The tax deduction is however dependent on the individuals income, tax status and other factors. Individuals who are looking at IRA can invest their money with banks or retail brokers. The investment instrument can be stocks, bonds and funds as per the investor’s choice. Adding to the investment provided by the employer. IRA plans have fixed yearly contribution amount set by the government. For age 50 and above, the annual contribution to the IRA is higher if the account was opened late. For the years 2015 and 2016, the contribution $5500 or less. For 50 years and above, the amount is $6500. Tax deduction for the contribution can be availed in full if the individual does not have a retirement plan at work. Otherwise, tax deduction is limited. If in case, contributions are made at or over 70.5 years old or contribution is made over the allowed cut off then the extra is taxed at 6%. The returns from the account are treated as any income and are therefore taxable. At the age of 70.5, individuals start receiving distributions from the account. An employee can choose to distribute the contribution when the employment is terminated, disability, death, hardship or when age 59.5 is reached. Full accrued benefit: This plan allows the distribution at a pre-set retirement age. Early retirement: In these early distributions is made in situations like employment termination due to death, severance, and early retirement or at age 62. Rollover is the investment of the returns from the IRA into another retirement plan. This amount is not taxable unless it has been withdrawn from the account. When the returns are not rolled over then it is taxable. The roll over should be made within 60 days from when the distribution has been initiated. There are 3 ways in which the returns can be rolled over. Direct rollover: The distributions/returns received from the IRA is invested in another retirement account. It can be arranged to be directly deposited in the new retirement account. Trustee to trustee rollover: In this, the distributions from one IRA is transferred to another IRA with the same financial institution. 60 day rollover: The distribution received from the IRA can be invested into another retirement account either in full or partially. Usually the retirement age is 50 and above in most of the companies, this is a period away from day to day work routine and tensions. People get a huge amount when they retire and also get pension every month, all this looks good and calms you down, and also during the working period people set aside investment for old age. Ultimately most of the people believe that after retirement their worry about money has come to an end but not really, only half of the work is done , the other half pending is to see that the money yields more income and save from paying more money in the form of tax. A part of pension money goes as tax and is known as commutation. Here are few savings options to protect from paying huge tax post retirement. They are either short term or long term investments. The stock or equity mutual funds are not taxed. Though the stock after retirement is a risky affair, but can be invested for a long term as short term dividends attracts tax. It is a regular income wherein you pay a lump sum and decide the frequency of payments. The insurer decides the lump sum based on the interest rate. If you fall under the 10 percent tax bracket then annuity is a good option. If the individual does not get enough money at the time of retirement then he can mortgage their house in the bank. As the payment is in the form of loan they are exempted from tax. Reverse mortgage is a good source of income for the senior citizens without leaving the ownership of their house. Pension money can be recycled into a new pension as it is free from income tax. For example, if you have put a lump pension of USD 2800 and you automatically get USD 720 from the Government, by this you gain 25 percent tax free amount. It is tax free and the returns are in the form of Interest, capital gains and dividends which are all tax free. These bonds are taxed as interest and not dividends. And an additional advantage of these is that they can be transferred to the spouse. It is an annuity is bought with assets outside the pension money. These are tax free as the income is form of return of capital. By this annuity you can save upto 75 percent of the tax. It is given by the Government which enables you to boost your State Pension Income. By this you gain a marginal gain in the income by paying a lump sum one initial payment. An individual who dies before the age of 75 yrs , the pension is not taxed and is transferable to spouse. But if an individual dies after 75yrs the pension is taken as income and taxed. As long as the money is invested the amount is not taxed. Retiree benefits more of personal allowance. The age related allowance is not relevant and is same as the young ones. The State Pension is taxed as normal, so any money you earn above your personal allowance is taxed 20 percent and more if you’re doing well. Usually couples maximize their personal allowance so when you retire a minimum amount of income of the household is exposed. An individual can invest on stocks and wait for the rise. The returns are in the form of dividends and the money can be invested for a long term as well and is not taxed. SEP IRA is Simplified Employee Pension Individual Retirement Arrangement is a retirement investment plan for business owners and their employees. The business owner makes a contribution to this account for the employees and also to their own accounts. These contributions as well as the returns are not taxable for the employee as well as the owner. The SEP is discreet and the employer can choose to contribute for the employee for that year based on the company’s performance. It is available for the employees as well as the business owner. The business owner makes the SEP contribution to the employees traditional IRA and it becomes SEP IRA. Business owners can contribute to their own SEP IRA even if they are the only employee of the company. Individual employees cannot form the SEP IRA account but can have the employer make the SEP contribution to their traditional IRA account. Earns a minimum of $500 a year. Written agreement: A written agreement by the employer has to be made and submitted before the end of the financial year. Form 5305-SEP a SEP document designed by the financial institutions can be used or the company’s own agreement is sufficient. Provide SEP details to the employees: Details of the SEP plans, rules, eligibility, disclosure agreement, annual statement, company’s financial statement and a copy of the agreement are to be provided to the employees. Pro- Rata: Each employee receives the same percentage of their individual eligible compensation. Flat –Dollar: Each employee gets the same dollar amount. Social Security Integration: The employer allots a percentage of contribution to each employee based on their pay scale. Higher paid employee gets higher percentage of the contribution. Loans cannot be availed from the SEP-IRA’s. Withdrawals can be made at any time although they are taxable. 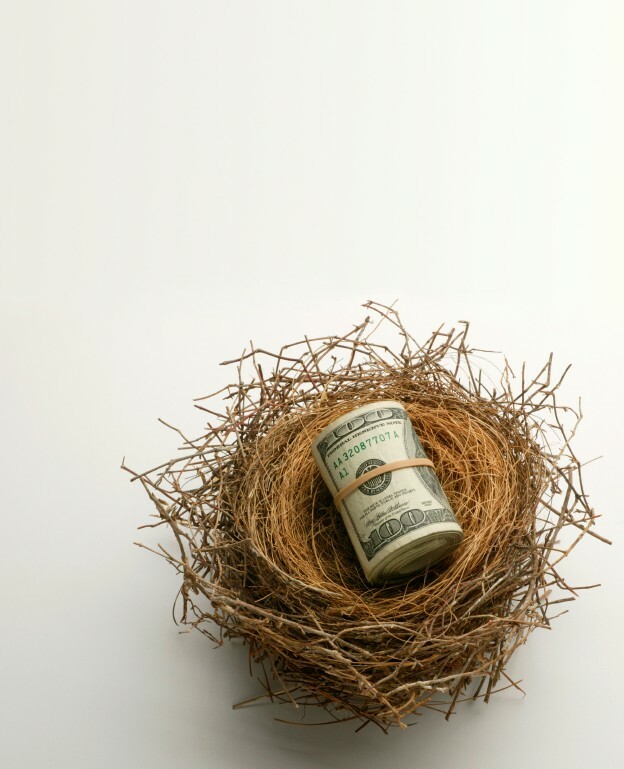 Withdrawal from SEP- IRA by an employee before the age of 59.5 years attracts additional 10% tax. Individuals should make fixed withdrawals from the SEP-IRA in the year following the year they turn 70.5 years. From this, the individual continues to make additional amount withdrawals annually. Monitoring the plan and making sure that the contributions are made before the time of filing taxes. New employees are to be added to the plan. 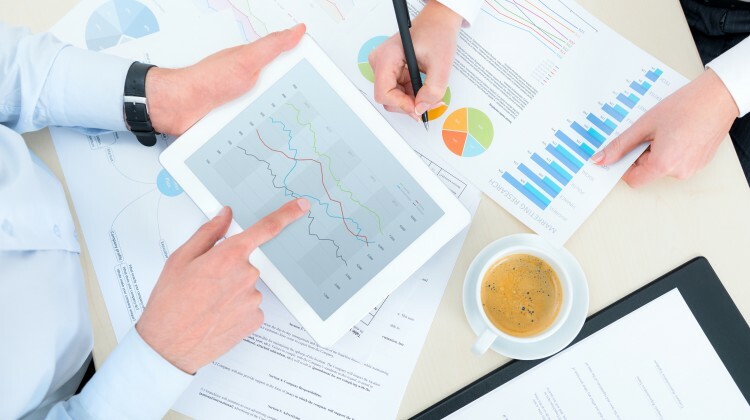 Re-adjust the contributions based on the performance of the employee and the company. Before going for safe investment, first make a note of the entire investment target and the risk involved. Let’s have a look at some of the safe investments types. It is wiser to invest in the Index in totality than to invest your money in specific stocks as it not only about high returns but the safety of the investment. It is a perfect combination of safety with returns as it is a collection of low beta and high dividend paying stock. If the dispersion potential of the returns is comparatively narrow or if the possible advanced knowledge about the stock is unlikely to enhance the gains ETF or the Exchange Traded Fund is a better bet. These are never heavily advertised financial products and their holdings range from stocks to bonds where one gets consistent income or significant capital gain. These are not flexible and remains fixed for the entire tenure of investment. The tax advantage is another big positive for the Unit Investment Trust. CDs come with a FDIC Insurance cover have higher yields compared to treasuries. The net insurance cover for every individual account holder is $250,000 and any amount greater than that is to be spread out as CDs from different banks. The best and the safest option are bonds with a maturity date of less than three years. The US Treasury Bill is one of the favorite among bonds as they are reliable, safe and a complete savings scheme. The returns generated are a benchmark for safety in the investment world. This is one of the simplest approaches for investors who are not very confident about managing their money effectively as this would result in effective return generation along with relative safety. An amount of money if given to a trained investment professional and the firm handles it in their absence. It is an auto investment tool that converts the dividend checks into single-dividend paying company in every quarter automatically. Commission is saved on every equity market investment and also gives you the option to buy fractional shares below the current market price. This is a dynamic mode of investment for investors who would prefer a single holding over the long period as the risk profile gradually changes and becomes less risky over time. The exclusive yellow metal has always been generating positive returns and an hallmark of safety. It works as a perfect hedge against inflation and an effective tool to cut out the equity market volatility. This is not only a safe investment option but also reinvest the cash in stock and bonds of your choice such that the net income gets a boost by employing various means of investment. Thus, one needs to carefully monitor the various channels of investment to work out the best possible solution and channelize their money in the right direction. The earning class normally invests a part of their income for their own future (post retirement). There are many strategies that one may be willing to choose in order to lead a secured retired life. On the contrary there could be many others who for some reason never got a chance to save for later (retirement) due to critical situation. They have less to no savings that can secure their retirement lives. This article is for those of them who have a heart to begin their savings when they have just retired from their work life. All the above 3 points are critical before choosing the investment option. At an older age one cannot take high risk or on the other hand since all your obligations and duties have been met, may be this is the time one can take high risk. A clear vision with respect to risk is imperative and future needs should include all medical issues that could be anticipated. But the most important is to ascertain what kind of bank balance is available and how much of that can be disposable into the investments. These are high return yielding investment plans which are linked to mutual funds. These are investment options with a small percentage being invested in equities. The dividends earned through this are tax free; however, the investment is subject to market risk. 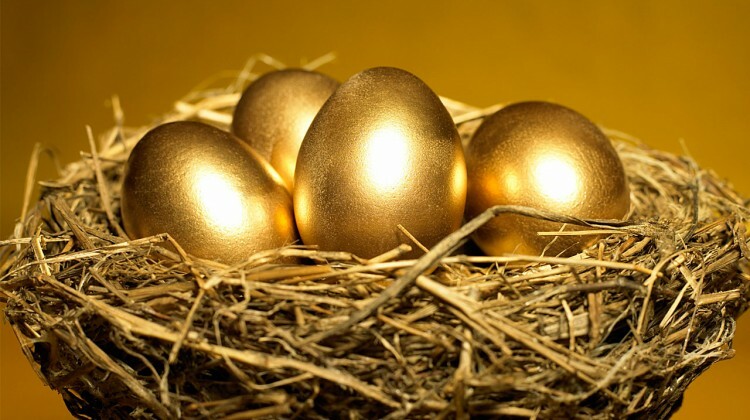 Income annuities help in converting funds into income as soon as one initiates the policy. Income annuities once purchased will provide the buyer with regular income in return for the purchase price. The benefit of income annuity is that for as long as one lives they will be assured of regular monthly income. With enough savings already done a portion of it can be used to take high risks as in the stock markets. Medical issues – Anticipated medical issues may weigh down on the risk taking ability of an individual after retirement. Support the spouse on the death of the other – Husbands and wives at an old age will want to secure their better half from penury in their absence and hence will take calculated risks in investment. It is clear that investment is independent of age as there is one option or another that will suit any age group in reaching their goals. In the investing world, there are two concepts namely diversification and asset allocation which involve spreading the investments around to mitigate risk while trying to get a higher return. A portion of a well diversified portfolio is named as real estate. Real estate investing is an investment strategy where an investor purchases property in order to earn a profit. In most cases, the investor will either rent out the property, or improve on it in order to resell it at a higher cost than it was purchase for. A big advantage of real estate is that it can produce cash flow on a monthly basis. the revenue generated from positive cash flow is collected in the form of rent minus the expenditure required to for operating the building. The cash-on- return investment is higher than any other investment and the reason behind this is leverage. There is no investment which is more powerful than real estate and the ultimate power of investing is leverage. The leverage is based on the asset itself and the banks would issue loan up to 75-80 percent higher than the total asset value. One reaps the benefits of appreciation while leveraging an investment. The benefits in real estate are best realized only after a long term as it takes time to appreciate in value. As the property is appreciating the residents would be paying the mortgage. Moreover the rental income too grows on a percentage annual basis. Real Estate is defined as a tangible asset which generally rise either at the rate of inflation or much higher. 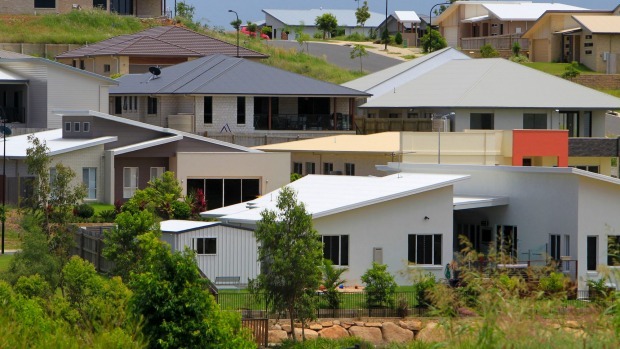 Over the years real estate has risen 5 percent per year which is higher than inflation. That too it is just appreciation which does not take into account cash flow generated, or the tax advantages such as depreciation, refinance, and tax deductible mortgage interest. the tax payer is allowed depreciation as an income tax deduction to recover the cost of wear and tear on an annual basis. In case of real, estate, it is a non operational expense that can be an advantage during the tax time. 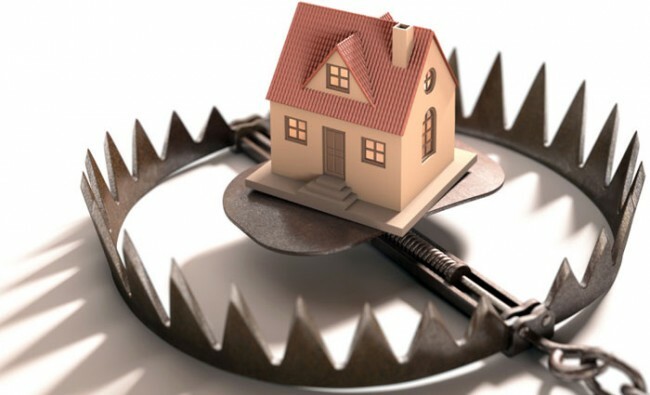 One can withdraw cash through refinance of the property which is also named as tax shelter. By refinancing a property you are restructuring your existing mortgage debt based on the added value of the property. This would allow investors to pull their initial investment out as the capital investment would be zero and would also create a cash-on cash return. Whatever reason may be real estate is one of the few investments that can be insured and protected from damage. One can be able to claim losses for the actual value of the asset before the loss, and during the loss. Another legal advantage is that it can also be placed into a limited liability company which helps in protecting both your personal wealth and assets. Real estate cannot be traded by a click of a button as it is a physical asset like stocks. It takes more tortoises like approach; where slow and steady wins the race. 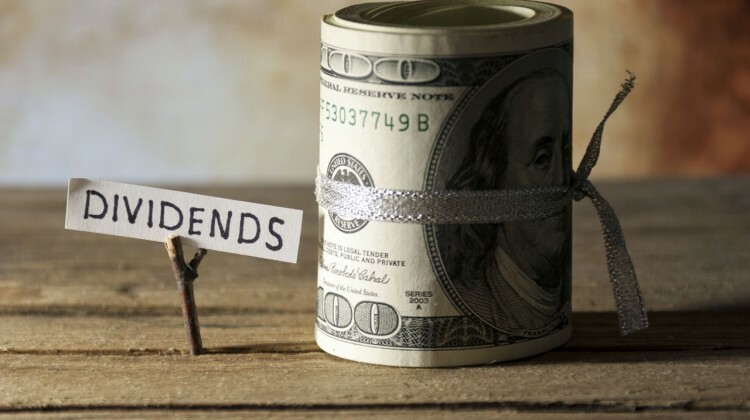 A dividend stock investment strategy has historically given investors much of the growth potential of stocks but with smaller losses during market sell-offs—a blend that could be intriguing for investors seeking a mix of income, stability, and growth. There are at least three key reasons to consider dividend-paying stocks as part of a well-diversified portfolio. 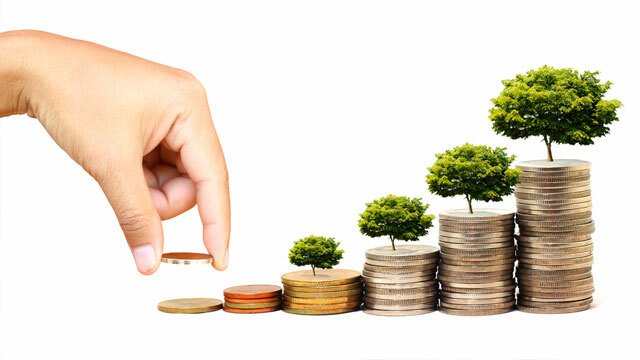 A Dividend Reinvestment Plan is a plan that is generally offered by companies to enable shareholders to reinvest their cash dividends for purchasing additional or fractional shares in the company. 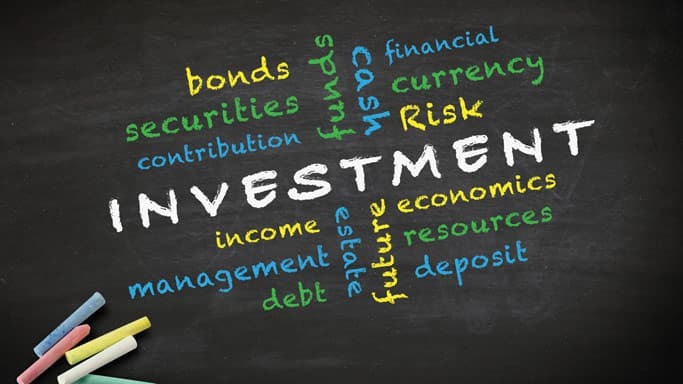 This type of reinvestment on the day of dividend pay would enable you to get a compound interest on your investment and is highly recommended by experts. 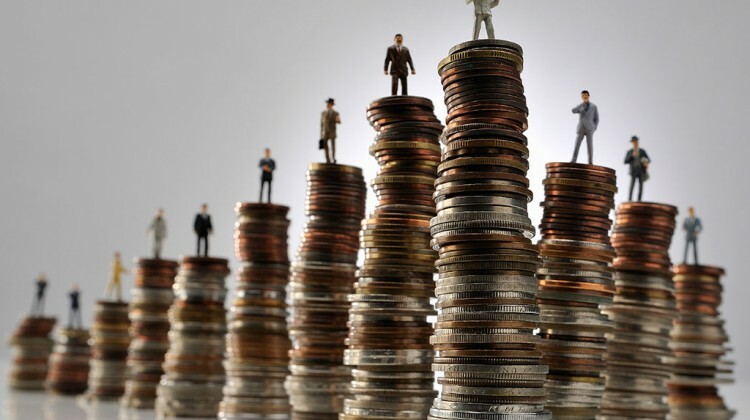 Companies generally start paying a meaningful dividend once they reach a certain level of maturity as a business and their earnings have become more stable than less established companies. This maturity can help to insulate them during sell-offs. While dividend stocks do suffer periods of losses, such periods have tended to be smaller than those of the market overall, however if you are confident of the company’s performance you should give time for them to recover and begin giving better dividends. During up markets, high-yielding stocks have historically underperformed the broad market slightly but still captured a meaningful portion of the gains. This usually is the case of corporate companies and those which have a long establishment history with franchisees spread out globally. The combination of smaller losses and similar gains has led to returns close to the stock market over a full cycle but with less volatility. Getting worried over a smaller loss when you know the company would eventually perform well is unreasoned and is not necessary. While inflation or rising rates can eat into the value of a bond and its fixed income payments, dividend payments have the potential to grow over time, and the stock may increase in value as well. That makes a dividend income stream an appealing source of income, particularly if you expect inflation. In fact this kind of investment is better when compared to commodities which do not always grow but to see their doom days too. In a case where inflation is the order of the day choosing dividend paying stocks is the safest mode of investment. Getting a payment every three months in fact brings about a boost in your overall investing environment and would give you satisfaction of earning bonus. The only caution you need to take is when choosing the stocks and then you can sit back and enjoy the constant payments. Before choosing to invest in stocks one has to study clearly what they are opting for and what should be expected from the invested amount. Doing your homework rightly is the fundamental rule here. Dividend paying stocks per se are not entirely earnings-centric. A lot of fundamental homework that goes into picking growth stocks will still apply here, but you need to add a layer of fixed-income-like analysis. Dividend-focused investors are less interested in each individual trade and more concerned about whether a negative or positive earnings outlook would cause a firm to change its payout policy. For any of the stocks in a dividend portfolio, the minimum holding period should be one year. Investors want to avoid a company whose stock might fall, say, to $30 from $50. But if the same stock fell to $45 without a change in the fundamentals, that wouldn’t be so worrisome in the near term — because the losses would be cushioned by the dividend. First of all, dividends are generally paid on a quarterly basis and can be raised, cut or eliminated at each interval. Again, investors should be most interested in a firm that consistently and steadily raises its payout. If someone says a stock has a 3% dividend, this is known as the The yield is the ratio of the annual payment to the current share price (annual dividends per share divided by current price per share) — so, given a constant rate of payment, the yield and stock price always move in opposite directions. Investors who buy a stock on or after its ex-dividend date will not receive the dividend income. For example, a company pays out 20 cents a share every quarter, then, all other things being equal, the shares will likely open about 20 cents lower on the ex-dividend date. The dividend itself is usually not paid out until two to four weeks after the ex-dividend date. But investors can sell shares any time on or after the ex-dividend date and still receive the payout, even if the stock is no longer in their account. Dividend investors generally employ a longer holding period than a couple of weeks, but this remains a salient point to remember when you sell a dividend-paying stock. Learn how dividend stocks produce yields. A stock’s return consists of both share-price growth and dividend yield. Compile a list of candidate stocks. There are thousands of stocks on the market, but not all are suitable for dividend investors. Use the Internet for research. From the list of candidate stocks, use an online financial website such as money.msn.com to investigate each company.